Everyone wants to have a slim and trimmed body and people usually discuss the diet plans, workouts, and low calories food consumption to get a perfect shape. We often don’t count the beverages we are taking daily with our food. Because drinks are not tough to digest and feel lighter than the fibrous food we take, we always skip them while counting our calories intake despite the fact that it contains more calories than our normal food because drinks are sweetened. What if we tell you few drinks that nutritionists recommend to trim your body and lose weight? Actually, the ingredients which are used to make these drinks are very effective to burn calories and make your metabolism fast enough to shed extra pounds off your body. You are going to love these drinks because none of these are difficult to prepare and you can easily make them in your kitchen without a big effort. Detox water is made of water and some fruits chunk mixed together. You can use all those fruits which have detoxing capabilities and so you can take them easily with or without water, with water they are even better. Detox water is easily made by a jug of fresh water and some combination of fruits and veggies like strawberries, cucumber, ginger, mint, apples, pineapples, kiwi, lemon, and oranges. You can add different fruit chunks/slices in that water and keep that refrigerated overnight. You have to drink this water for the next twelve hours of the day, if water is finished, you can refill your jug twice more. Detox water is really effective to remove toxins from your body and fruits that contain citrus are proven to be the best to cut away extra fats from your body. Also, these fruits are effective when used in the form of juices because these are high in fiber as well. Fiber makes sure the correct functioning of digestive system and it keeps your body fit and healthy. Detox water or detox juices are the best natural remedy to lose weight quickly. Weight loss means shedding extra fats from your body and that process needs a good metabolism. You will be needing such drinks which can improve your metabolism. It is scientifically proven that taking a cup of green tea twice or thrice a day melts your body fats approximately 30-40% faster than normal calorie burn. You can make drink tea in your kitchen as almost every tea making brands have launched green tea pouches/tea bags which you can just dip a few time in a cup of hot water and enjoy it or you may use some green tea supplement which is easily available on the market. If you want to improve its working and taste both, you can add a few drops of lemon in it. Lemon itself is good for fat burning and with green tea, its strength doubles. Also, green tea is a good diuretic which flushes out an extra amount of water from your body and its caffeine helps burning fat. Vegetable juices can be notably effective whether taken alone or with an infusion of some fruits. There is some specific vegetable which help to keep toxins away from your body for examples kale, cabbage, cauliflower, broccoli and other veggies with green leaves which contain a good amount of vitamin C. these vegetables not only remove toxins from your body but also help keep your body fit and prevent it from harmonic disturbances which sometimes cause a big negative effect at your body. When some hormones are disturbing, the person starts getting over weighed. Cruciferous veggies are counted to be very rich in phytonutrients which are usually preferred to lessen the total amount of body fats. Other benefits of veggies are to maintain blood sugar level, reduce the inflammation rate from your blood, boost your metabolism to a wonderful ratio, and balancing hormones. 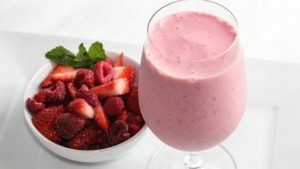 You normally add milk or water when you prepare a smoothie and that is definitely a yummy drink but when you are fat, you totally avoid smoothies to control the calorie level. But here comes a good news for the smoothie lovers that they can actually make a smoothie which is really good for them and also quite beneficial in weight losing process. It’s a yogurt based smoothie. The study shows that you can lose 60% more fats from your belly when you add yogurt to your food. The presence of calcium makes sure to strengthen your bones and to burn fat from your body while imitating the fat making process of your body. Try to use the fruits which we have mentioned above to prepare a smoothie to double the strength of your drink. Black coffee is favorite amongst all of those people who want to lose weight as it is counted as the best antioxidant which helps the body to stay protected and strong against different types of cancers. Black coffee is good for diabetes and heart disease. 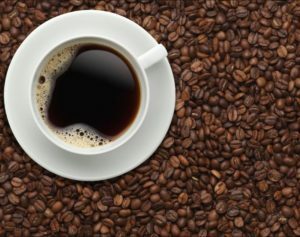 Doctors are recommending daily consumption of black coffee at least once a day. You can feel a great difference in your weight loss results and your overall health. Keep one thing in your mind, if you are consuming black coffee for the specific purpose of weight loss, you will take it without sugar and milk so that the calories would not be increased. The above given are top 5 sorts of drinks which you can add to your daily food intake. 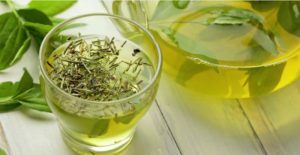 You can use alternate drink every day to make sure that you are not getting bored as people often complain that it is tough to take green tea daily, though some other people have developed a habit of taking a cup of green tea after every meal. 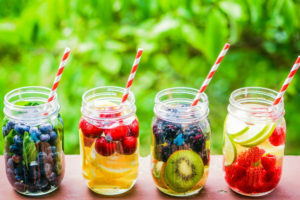 You can choose fruits of your own choice for making smoothies or detox water fearlessly because fruit sugar is harmless for your daily calorie count. Make sure to not to add extra sugar to sweeten your weight loss drinks or that will not be as effective as it should be for the specific purpose.